tool to the net name in the index. 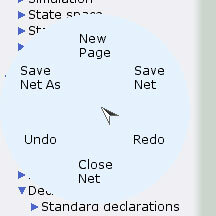 If a net has unsaved changes when applying the Close Net tool, a dialog box will appear. With this dialog it is possible to save the net before closing it, discard the changes before closing, or cancel the close operation. 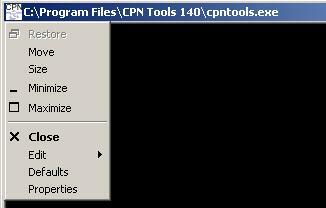 The dialog box will also appear when you close CPN Tools by closing the workspace window first. The workspace window can be closed, for example, by clicking on the Close button in the upper-right-hand corner of the window. Note that the dialog box will not appear if the console window (instead of the workspace window) is closed when there is one or more nets with unsaved changes. In this case, unsaved changes will be lost.